Two of the world’s leading countries in advanced manufacturing—Germany and the United States—both have a common goal: to take advantage of the coming wave of connected technologies that make up the Internet of Things to revolutionize the manufacturing sector. Although Germany and the United States are fierce competitors in the space, this shared goal creates valuable opportunities for collaboration that could greatly benefit both countries. During a recent panel discussion sponsored by the Center for Data Innovation, industry leaders from both countries agreed that they faced the same challenges to accelerating the development and deployment of the Internet of Things and that both countries stand to reap substantial benefits by sharing solutions to these challenges. The potential for the Internet of Things to transform every aspect of the manufacturing process can offer manufacturers in any country incredible value. Dr. Anna-Katharina Wittenstein, a board member of a German manufacturing company, said that before materials even get to the factory floor, connecting supply chains to the Internet of Things to increase their efficiency would have a ripple effect throughout an entire country, benefitting the entire manufacturing sector. And Diego Tamburini, a manufacturing industry strategist at Autodesk, said that companies are analyzing the data from networked machinery inside the factory to detect potential problems earlier and perform predictive maintenance, which reduces downtime. In addition, they are using these technologies to increase automation, which can substantially boost productivity and efficiency. And incorporating connected sensors into manufactured goods themselves unlocks the potential to transform business models. For example, rather than just selling a jet engine to an airline, a manufacturer could adopt a product-as-a-service business model so that it sells the engine’s function (i.e. providing thrust for flight) as a service, but retains ownership of the engine. Though this entails manufacturers assuming more risk, it can lower the investment barrier for their customers and lead to market expansion. Tamburini likened this to on-demand cloud computing, which offers the benefits of large-scale computing infrastructure but without the high costs. Finally, according to Barry Ives, director of advanced technology programs at Lockheed Martin, once connected devices become ubiquitous, the data they generate will serve as the substrate for future business opportunities that the manufacturing sector—and industry as a whole—cannot yet foresee. To fully realize these benefits, manufacturers in Germany and the United States must overcome considerable obstacles. Panelists agreed that one of the most pressing obstacles is the need for a workforce skilled in using data. 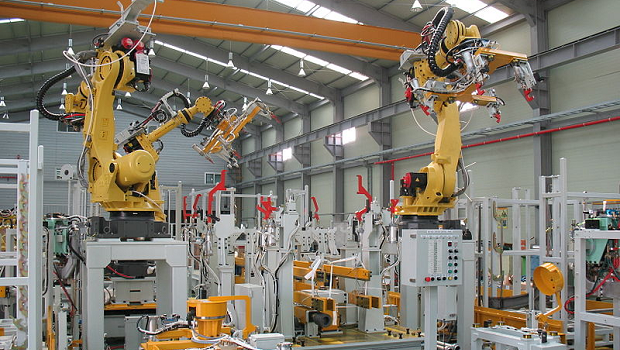 As the Internet of Things becomes more important to their success, manufacturers will only be competitive if they can find the necessary workers. However, panelists expressed concern that they would be able to reliably do so. Ives, Tamburini, and Dr. Wittenstein noted that their own companies invest heavily in supplemental worker training and higher education programs to cultivate some of this human capital, but agreed that producing a sufficiently skilled workforce is fundamentally a public sector responsibility that both Germany and the United States are failing to adequately meet. Dr. Peter Liggesmeyer, executive director of the Fraunhofer Institute for Experimental Software Engineering—a professor himself—shared this concern, warning that the transformative effect of manufacturing automation, enabled by the Internet of Things, will require substantial investments in education and worker retraining if any country hopes to capture the benefits the technology can offer. Beyond human capital, manufacturers in Germany and the United States share other obstacles, both technical and regulatory in nature. As the Internet of Things begins to grow rapidly, surpassing 20 billion devices by 2020, Ives and Tamburini stressed the need for both nations to improve how they allocate and manage radio spectrum sharing to ensure connected devices can reliably communicate with each other. Additionally, so many new applications of the Internet of Things may prompt some governments to require the use of particular standards in an effort to encourage interoperability, or even establish nation-specific standards, despite the detrimental effects country-specific standards would have on the development of the Internet of Things as a whole. Finally, regulations that obstruct the free flow of data, whether it is between devices or between countries, limit the ability of manufacturers to take advantage of new business models made possible by the Internet of Things. Although Germany and the United States are direct competitors in manufacturing, collaboration can help them both by strengthening their relative advantages. Germany is renowned for its expertise in engineering and industrial design, while the United States is recognized as a world leader in cloud computing and information technology—all of which are critical elements of the factory of the future. The sooner Germany and the United States work together to meet the challenges of the Internet of Things by sharing their specialized expertise, the sooner both countries could establish themselves as world leaders in smart manufacturing.